Why Is Brooklyn So Collectible? I’ve long been fascinated with the popularity of the Brooklyn Dodgers. Growing up in New York, I often saw Brooklyn Dodgers gear around the city. I had friends whose parents swore by the long-gone Dodgers. There was such a mystique around the team that little impressionable me even bought (and wore) a replica 1914-1924 Brooklyn cap, even though I was a New York Yankees fan. So why is Brooklyn Dodgers memorabilia so collectible? After all, Walter O’Malley turned his back on the city after the 1957 season and left for sunny Southern California, where there was less market competition and warmer weather but lukewarm fans, who, even today, routinely show up for games in the fourth inning. 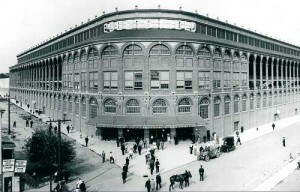 While the team played in Brooklyn, they won exactly one World Series Championship. Since their departure, they have won five in Los Angeles, yet the West Coast version of the team garners far less attention among collectors than “Dem Bums,” as they were affectionately known, from Brooklyn. Is it the masochism effect? I don’t buy it. Baseball already has its loveable losers (the Chicago Cubs) and its cursed team (the Boston Red Sox, until recently). I don’t think there are that many more baseball fans out there who enjoy tearing their hair out and bashing their heads against the wall each October to support a third consistently disappointing team, even if the boys from Brooklyn lost five World Series to the Yankees in a 12-year span. 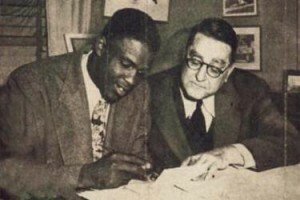 On October 23, 1945, Dodgers President Branch Rickey signed Jackie Roosevelt Robinson to the Brooklyn Dodgers, breaking major-league baseball's color barrier. Even on our site we call them the “Brooklyn (and LA) Dodgers.” Why not the other way around? The baseball posts that have appeared on Show & Tell have a distinct tilt toward Brooklyn memorabilia, a preference corroborated in our interview with sports-memorabilia appraiser Mike Gutierrez. Why should this be so? To find out, I did some research. Some of you might be surprised to know that Brooklyn is, and has been, New York City’s most populous borough. In fact, in 1960, just two years after the Dodgers bolted west, Brooklyn had nearly one million more inhabitants than Manhattan, where the rival Giants played (2,627,319 to 1,698,281), which was also almost double the population of the Bronx at the time (1,424,815), where the Yankees played. Okay, so that is a pretty big fan base. Also, with the exception of a short-lived football team, the Dodgers were Brooklyn’s only professional sports team, so they had exceptional resonance with the population. Plus, nostalgia counts for something. But is there something more to it than numbers and nostalgia? After all, the median age in Brooklyn today is in the mid-30s, meaning most of the borough’s citizens never saw Jackie Robinson or Pee Wee Reese lace up their spikes. The last game at Ebbets Field was played on September 24, 1957. The Dodgers beat the Pirates 2-0. I think there is. I grew up just north of New York City, far closer to the Bronx than Brooklyn, and there was always an aura about Brooklyn-ites. They were cool, they were hip. 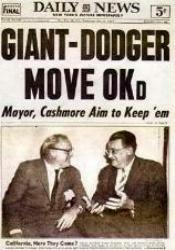 I don’t know where this perception came from, but I believe the late Brooklyn Dodgers benefit from that same mindset. Of course, the team’s popularity was certainly boosted by the fact that it was responsible for breaking baseball’s color barrier by bringing Robinson to town. And the Dodgers also had a lot of great players—Robinson, Reese, and Roy Campanella to name a few—but many of the their greatest players—Sandy Koufax, Don Drysdale, Duke Snider, and Don Sutton—made their marks in Los Angeles. So the allure of Brooklyn is still confounding. Beyond the stats and my brilliant amateur analysis, there’s one more factor that I haven’t addressed, and this, I believe, is the largest driving force behind the Brooklyn Dodgers’ inflated popularity. As I mentioned earlier, Brooklyn never really had another sports team, so I believe there is a highly devoted fan base from the 1940s and ’50s that has refused to let go of the times they spent at Ebbets Field, shown above. Lots of kids who grew up in Brooklyn nurtured on the Dodgers have resisted the temptation to become Yankees and Mets fans. Wherever they may live now, their childhood loyalty remains rock-solid. I think it all goes back to warm afternoons at Ebbets Field. But that was half a century ago, so what will become of Brooklyn Dodgers collectibles as time marches on? It is a fascinating question. One argument is that they will only become more sought after as the years between Brooklyn and Los Angeles increase. Another school of thought wonders if in 20, 30, or 40 years, when there are even fewer people around who saw the Dodgers play at Ebbets Field, will Dem Bums instead become a figment of the past, a forgotten museum piece? Baseball fans overall are intelligent connoisseurs of history, but younger baseball fans are far more fickle. Brooklyn memorabilia may rule the day today, but it is tough to tell if these cherished relics of the past will be enough to overcome the short attention spans of a distracted generation. “ ” This collector is a little reclusive, and he’s a little quirky and nerdy—so what?